San Diego, California, USA. (SANEPR.com) November 20, 2007 -- RV Parts World has recently opened its second store in the greater San Diego metro area. 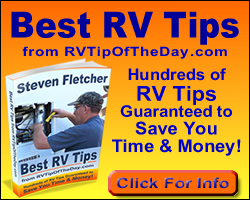 RVers now have a great central location that they can buy parts and accessories for the motorhome or travel trailer. Conveniently located off the 52 Freeway in central San Diego, RV Parts World is readily accessible for travelers heading to the mountains, deserts or beaches of California. RV Parts World is staffed with knowledgeable and friendly personnel that have years of experience in the RV world. RV Parts World is connected with La Mesa RV Center’s sales facilities in Kearny Mesa as the company has built an unbeatable reputation across the country for the sales and service of the finest new and used motorhome brands built. With over 2,500 square feet of display space and plenty of door side parking, RVers will discover that RV Parts World not only is convenient but has a great selection of parts and competitive prices. Best of all, there is no annual membership requirement for customers of the store as everyone gets the same price on all items.